Just wanted to say how much I appreciated your commitment to quality service. I phoned at short notice for my order to be received in time for a birthday gift, and you happily shuffled your workload around to accomodate my wishes. In fact, you had the order on my doorstep the very next morning. The product was also of exceptional quality, and my friend said it was the best gift she received this year. Thank you kindly. We have just received the single possum throw that we ordered recently. We are absolutely thrilled with it & it is better than we expected. The quality is amazing & you can see that great care has been taken with matching the pelts. We found you, Teresa to be very professional in your dealings with us and you seemed very passionate in your field of work. My husband was very impressed when he visited your workshop. He was given the instructions to get the small throw but came home with the bigger one and I am so glad he did. We would not hesitate in recommending anyone to buy from Possum NZ. 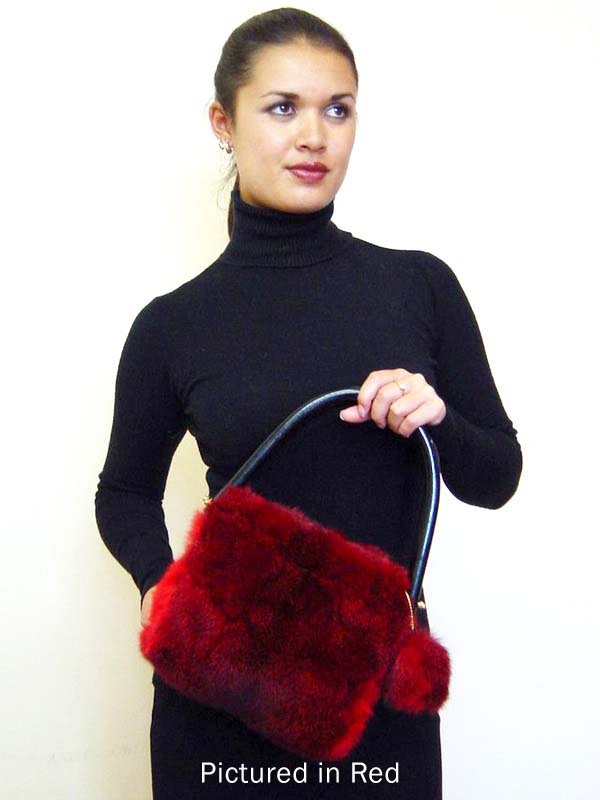 The Possum Pompom bag features cane handles and a funky pompom attached with a gold chain. The cane handles are handmade in New Zealand and are available in natural or black finish (coordinated with your fur color). It features polyester satin lining with a pocket and a magnetic dome closure. Coordinate it with the Possum Pompom scarf.